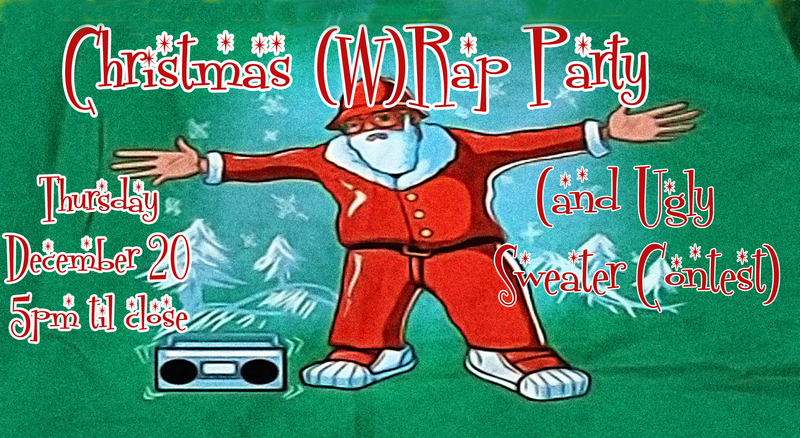 Wrap your presents and sport your ugliest Christmas sweater while listening to Christmas Rap! Speak of the Devil provides the wrappin’s – wrapping paper, bows, to’s and from’s – all while DJ Super Dave Andrews spins the Christmas rappin’s! That’s right, wrap your presents to Xmas rap – from Easy E to Run DMC!